For the NBA we supplied a dry hire service with LED illuminated circle bar, fridges, freezers and glassware. 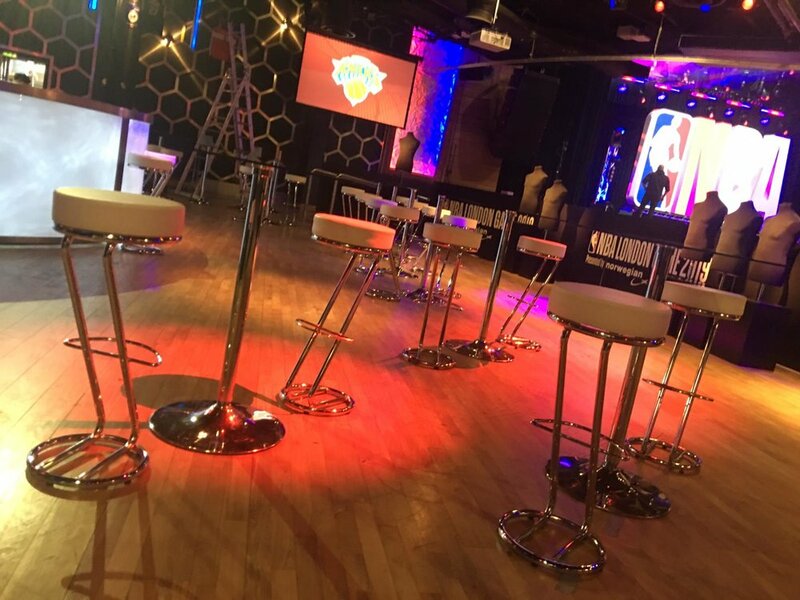 We also supplied VIP style seating and glass top poseur tables to create standing and seated drinking spots around the circle bar. If you’re interested in a dry hire quote for your upcoming event, have a look at our product brochure or send us your requirements and we’ll let you know what would work best.